A new technique that lets surgeons remove cancerous kidneys through a small incision with the help of their hands and special cameras and instruments gets patients out of the operating room faster than - and on the road to recovery just as fast as - a more conventional laparoscopic technique, a new study finds. The research, being presented June 2 at the annual meeting of the American Urological Association by surgeons from the University of Michigan Health System, may help steer more physicians to choose the less-invasive and more precise technique for their patients. Studies shows that hand-assisted laparoscopic nephrectomy can be done in significantly less time than the standard laparoscopic procedure, but hand-assisted patients suffer no more complications and spend no more time in the hospital than the others. U-M was one of the first hospitals in the world to offer either kind of laparoscopic kidney removal for cancer. Compared with conventional open surgery, the procedures greatly reduce the size of the incision, the complexity of the operation, and patients' pain and recovery time. Laparoscopic techniques, which are performed with tiny cameras and instruments in tubes inserted through small incisions, have nearly replaced the old-style nephrectomy. But there has been a debate over whether the standard laparoscopic approach, in which the surgeon uses the instruments alone to place the kidney in a sack, cut it out, pulverize it, and remove the pieces, is equivalent to the hand-assisted technique. In hand-assisted operations, the patient's abdomen is inflated by gas so that the surgeon can insert a hand through the small incision via a special pressurized sleeve. With both a hand and laparoscopic instruments doing the work, the surgeon has more control over the operation and more of a sense of depth and sensation than can be gained through the lens of a camera. The kidney can be removed intact, making it possible to evaluate the cancer. The hand-assisted approach is also considered better for surgeons who are still learning laparoscopic techniques. Even as more doctors turn to hand-assisted laparoscopic nephrectomy as a front-line treatment for cancer patients, they are also using it more and more to allow living people to donate a kidney to someone whose own kidneys are failing. These findings echo the findings of previous studies that have compared either kind of laparoscopic nephrectomy for cancer with traditional open surgery. For both those who donate a kidney and those who have to have it removed, open surgery means a foot-long incision, nearly a week in the hospital and more than a month of painful recuperation. But laparoscopic surgery means a three-inch incision, half the hospital stay and recovery, and much less pain. The patients who had their kidney out because a scan showed a suspicious mass or enlargement were then surveyed about their experience during the recuperation period. Twenty-two had had a hand-assisted operation; the other 16 had had the standard procedure. This learning curve difference may signal another important advantage for the hand-assisted technique,. Surgeons who are used to doing open surgery can still use their most familiar and flexible tool - their hand - to feel their way through the area shown by the camera. And, they can handle major complications that occur during the operation much better. Shorter learning curves mean that more urologists will be able to master the technique, who has taught others the procedure. "This ultimately will benefit patients by offering a less complicated and painful approach to their suspected or newly diagnosed kidney cancer. And, it will continue to help us increase the availability of donor kidneys for those who need them." 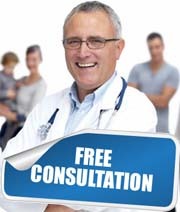 If you are really seeking for the New technique removing cancerous kidneys Surgery, kindly fill up the form for a free consultation by our surgeons. You will be provided with thorough analysis and suggestions regarding New technique removing cancerous kidneys Surgery you are seeking for.